There’s not a garden lover anywhere who would not delight in showing off a Banksia Pygmy Possum. 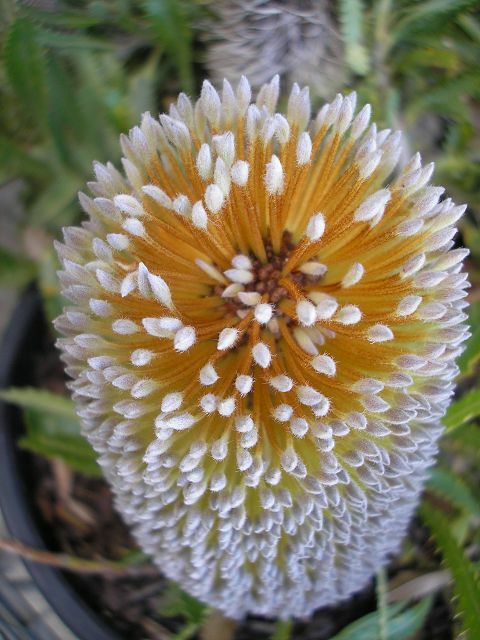 Furry upright silver & gold flowers sit on a carpet of foliage in spring & summer, and you’ll be tempted to put out a dish of honey for the ‘possum flowers’. 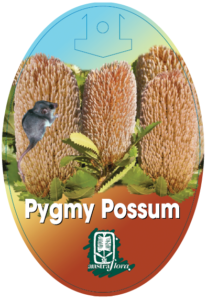 Cool temperate to warm dry climates, full sun and good drainage will suit Banksia Pygmy Possum; light frost is tolerated, and seaside gardens are very well liked. Grow it as a ground cover, or let it trail over a retaining wall; for a rustic look, plant it in a large wooden barrel. Trim off the spent flowers and tidy up stem ends as needed.